The funeral of 11-year-old Rhys Jones was held at Liverpool's Anglican Cathedral on Thursday. 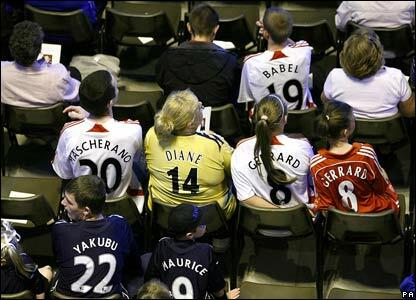 His parents, Steve and Melanie, made an emotional arrival. 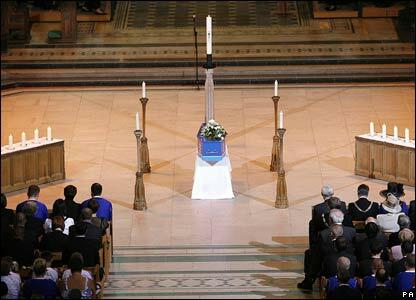 Crowds lined the streets outside Liverpool Anglican Cathedral and clapped as Rhys's coffin arrived. 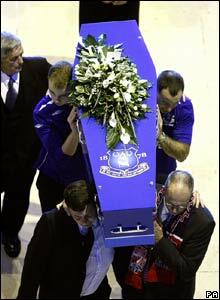 Rhys's mother and father chose a blue coffin for their son. 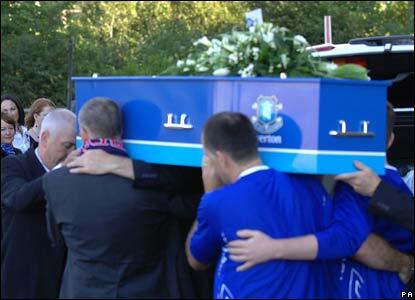 Rhys, who died in Croxteth Park, Liverpool, on 22 August, was a fan of Everton FC. 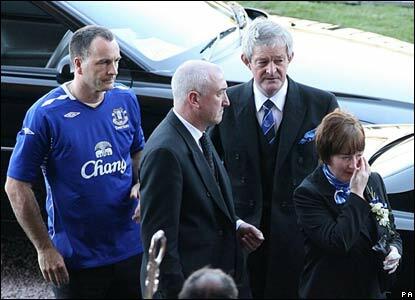 The pallbearers included Rhys's father Steve and brother Owen, both wearing Everton shirts. 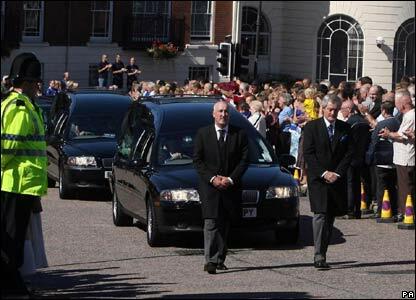 The coffin was followed into the cathedral by his mother Melanie. Rhys's parents asked people to wear bright clothes or football strips for the service, which they wanted to be a celebration. 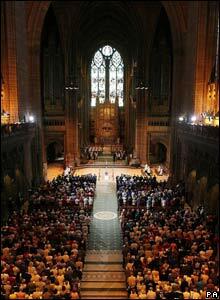 About 2,300 entered Liverpool Anglican Cathedral for the moving service. Speakers were put up outside for those unable to enter. The service heard from Rhys's uncle Neil Jones who spoke of his "football crazy" nephew and read a short poem about the youngster written by his father Steve.